2. 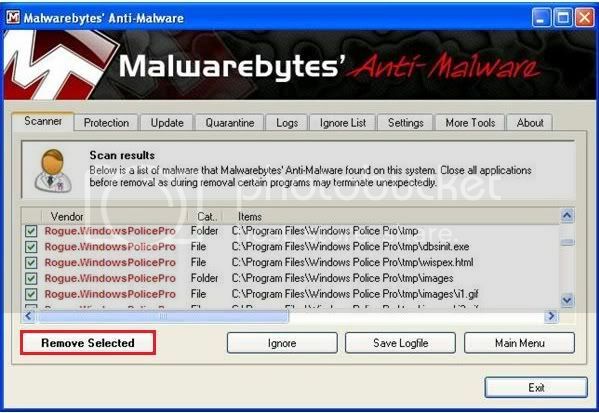 Install Malwarebytes by double-clicking on the .exe you downloaded. - Click 'Install' and 'Finish' on the two subsequent screens. - If, at any point, you are using Malwarebytes but it is already installed, you can simply open it, go to the 'Update' tab, and update it from there. - Do as much of the following as possible in Safe Mode. If it will not let you install any of the following programs in Safe Mode boot up the computer normally, install the program, then return to Safe Mode. 6. Running a quick scan. - The full scan will usually take between 30min - 3 hours, depending on how many files are on the computer. - After a scan, Malwarebytes will pop up a scan log. These will be saved and can be found in the 'logs' tab. If you still cannot remove the malware and bring your computer to the Helpdesk, these will help us determine what the computer has already found and how best to deal with it.